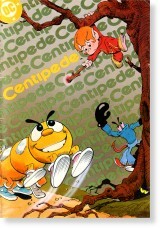 Back in the heyday of the Atari 2600, several games were shipped with mini-comic books as an added bonus. 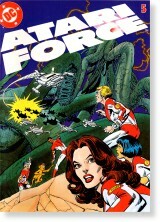 In total, 10 different comic books were created, most of which were produced by DC Comics. 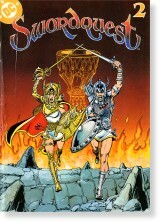 Of these ten comics, two formed a related series of books: Atari Force and Swordquest. 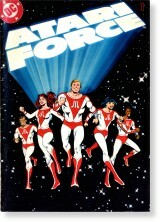 The Atari Force comics shipped with the games Defender, Berzerk, Star Raiders, Phoenix, and Galaxian. 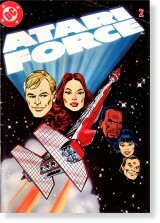 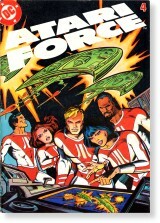 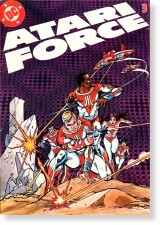 Atari Force would later become a full-size comic with a run of 20 issues. 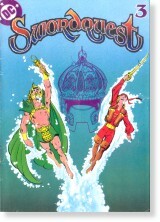 The Swordquest series of comics, also created by DC, accompanied the games of the same name and were part of a grand contest comprising four games with spectacular prizes created by the Franklin Mint. 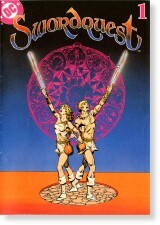 Unfortunately, only three of the four games (Earthworld, Fireworld and Waterworld) were released, the contest was never concluded, and the last comic, Airworld, was never inked. 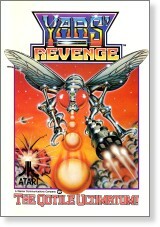 The last two comics are Centipede, another DC creation, and a comic done internally for Yars' Revenge called The Qotile Ultimatum.